Ability to toggle the "Red Alert" mode, Even the ability to activate Halo itself! will be switched to night. in it's belly thus allowing you to make Ship RPs. plot possibilities and even the ability to make cross-maps RPs with Sanctuary_Final. your server an edge over others. Hello people. This is a rundown of all of the commands you can mess with in RPG_Beta6.2 as hosts or admins in order to customize some aspects of how the scripted features work. - First, whenever there are brackes [ ] in a command in this list, that indicates a value that you are supposed to add in. If there aren't any brackets, that means there's nothing to change and changing anything may cause DIRE consequences. Well no not really, but you could mess something up. Unless you know what you're doing, don't mess with any value in these commands that isn't specified to be changed. - Second, ALL of these are meant to work ONLY on server side. This means that if you are not hosting, you can't abuse the game with these commands, so don't get your hopes up. In fact, just to be safe, never use these if you are not hosting, as you may mess up something on your end. For the most part though, these won't do anything in that case. Note: This does NOT apply if you are a server admin. While you are not yourself hosting, you are sending commands to the server through the Rcon command or through the chat text if you're using some server app, so you are properly using the commands. - Third, ALL of these commands require devmode on in order to work. This is very important if you are running this map on a dedicated server, as any dedicated server without a server app running can't activate devmode. In order for admins to use these commands on your dedi server, you will need one of many dedi server apps that enable devmode. 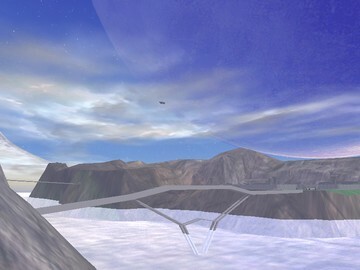 For players hosting the map, all you need is any app for Halo CE that can turn devmode on while online, e.g. Alldev. - This will toggle Red Alert on or off. Using this command activates one of the control panels that players normally have to use to activate this. - This will activate Lockdown mode. Using this command activates the control panel that players normally have to use to activate this. 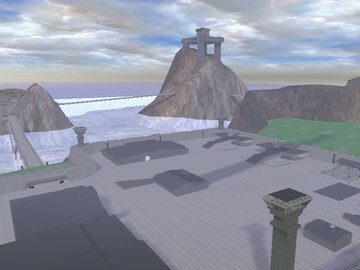 - This will change the environment of the map based on the value of '#'. This setting can ONLY be set on the server and won't do anything if used on client side (clients are any players who are not hosting, as in players who joined a game). Note: Any other values for # will NOT do anything. Also, you will find that during the switch to Rain From Day there is a brief change to Night. This is normal and was needed in order for the switch to work properly. - This will change the amount of time that the doors stay closed while Lockdown is activated. It won't affect the time remaining for a current lockdown, only future ones. The default is 3 minutes. 1 tick is 1/30th of a second, so 30 ticks is 1 second. You'll have to do the math yourself, unlike the commands above =). - This will change the minimum delay between firings of Halo. It won't affect the time remaining for the current delay if it was recently fired, only future ones. The default is 5 minutes.